How Can I Sell A House That I've Inherited In Colorado? If you have been wondering how you can sell a house that you have inherited off of a deceased relative in Colorado then this article will definitely inform you about that process. We own and operate a local home buying company www.hbrcolorado.com and we will buy any inherited house fast locally in Colorado Springs, Pueblo, Denver, and all of the other major cities and suburbs all along the front range. If you want to get a free quote now on your probate house then please give us a text or call directly at (719) 286-0053 to speak with one of our live customer service agents who will be able to make you a reasonable offer in less than 20 minutes with some basic details about the home. There are two main types of probate in Colorado – formal and informal probate processes. Informal is where there aren’t any clearly defined executors of the estate who will be in charge of distributing the assets. The second type of probate is called formal. 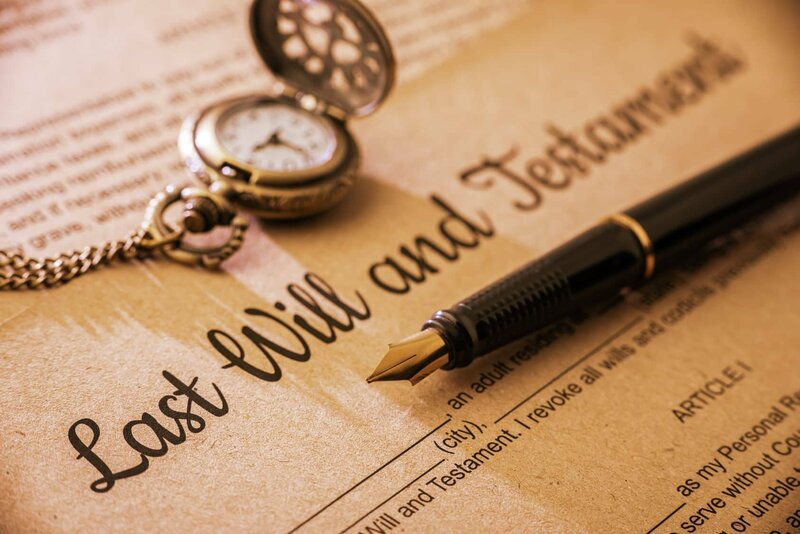 This is the most common type and involves having a clearly defined person who has been granted power of attorney along with executor rights, and they have the ability to sell off the assets of their deceased relative without any additional authorizations from the courts. Investment companies such as us here at HBR Colorado will make you a fair cash offer on your inherited house and we will be able to close in 7 – 10 days without you paying any fees or closing costs. We love to buy probate houses because they provide some of the best win-win type of situations in the world of real estate investing. The reason that it can be such a huge advantage for both us and you the seller is because typically when someone inherits a house they don’t have much emotional energy or time invested into the deal, so it makes sense for them to consider taking a fast cash offer on the deal just to get out of the situation and move on with their life. If this sounds beneficial to you in your current situation then please get in touch with our local home buying team by calling or texting the number above or simply by filling out the form at the bottom of the page to get a custom cash offer in less than 24 hours. Our home buying company is making several offers per day on inherited homes in Colorado, and we look forward to working with you next, so please feel free to reach out to us directly via call or text at (719) 286-0053 to get an instant cash offer on your property right now. What Real Life Steps Can I Expect When Selling An Inherited House In Colorado? We ask you what the address of the property is to quickly determine an estimated resale value on the home along with the as-is value which we will use to make our cash offer. Second, we will send one of our home buying experts out to the property to perform an accurate repair estimate to see how much money will be required to fix the home up to full market value so it can then be sold. Then we will plug these numbers into our professional home buying formula which will then give us our cash offer number, which will be presented to you in written or verbal form. You will be given as much time as needed to think the offer over and discuss it with significant decision-makers in your household. If you decide that you want to move forward with selling your inherited house fast in Colorado then we will sign the appropriate documents and schedule an appointment with a local title company who will set up and engineer the finer details of the transaction at their local office. We make it extremely easy to liquidate your inherited house fast because our program is designed to streamline the home selling process by funding the deal with our own cash and then covering all closing costs. We are cash investors who can buy your inherited house in days instead of the weeks or months that you could be looking at if you choose to list the home on the open market with a licensed realtor. Not only will it take months to sell but you will also be responsible for getting the house into a marketable condition which usually will cost several thousand dollars depending on the overall scope of repairs. How Hard Is It To Sell An Inherited Property With Extensive Repair Costs? Inheriting a property can be an extremely difficult process because it can be very confusing what to do once you have been given the power of attorney. A lot of people simply don’t want the responsibility of having to manage a home because of the monthly expenses that will be required to be paid out of the new owner’s pocket. If you are someone who would much rather get rid of your inherited property in Colorado in the fastest time-frame humanly possible then please fill out the form at the bottom of the page to get a free quote within 24 – 48 hours. Our team has purchased hundreds of inherited properties in Colorado Springs, Denver, Pueblo, and throughout the rest of the front range without the seller having to put up any of their own cash to close the deal. How Much Can I Get For My Inherited Home By Selling It To A Real Estate Investor? A lot of homeowners may be wondering what type of cash offer they will receive on their inheritance house, and we will explain that in detail in this paragraph. Basically, we take a specific percentage of the after repair value or appraised value and then we subtract the estimated cost of repairs to give us our final number which will be used as our cash offer. Getting a fair cash offer on your probate house is critical, but having a company who can reliably close the deal in the fastest time-frame is something that you should definitely look for. We are a professional investment company who can buy any house in probate as long as you have the power of attorney and executor status. Why Should You Consider Selling Your Inherited House To Investors? Sell without making repairs. When we buy inherited houses in Colorado we cover all of the closing costs, repair costs, and any other transactional fees that will be incurred during the closing process. This allows our sellers to rest easily and not have to worry about paying any out of pocket expenses on their home. Sell on your own timeline. When you choose to list your home on the MLS through a local real estate agent you will be forced to wait around for months while the home gets listed and sold. If you want to sell your house on a much faster timeline then you should definitely consider liquidating it through a local real estate investment company who specializes in buying inherited properties. Sell without agents. Another major benefit of being able to sell your inherited house to an investor is that you can completely avoid listing the home with real estate agents. This means that you won’t have to pay any commissions on the sale of the property. On top of that, you will also be able to avoid paying listing fees. Avoid complicated paperwork. If you want to avoid all of the complicated listing agreements and other paperwork that normally comes with listing your home on the market then you should definitely consider liquidating it through a local home buying company such as us here at HBR Colorado. Why Do Investment Companies Buy Inherited Houses Using Our Own Cash? The answer is actually very simple. We buy inherited houses fast in Colorado because we have the cash to close immediately without any delays. Our team will purchase your inherited house fast and you won’t have to make any sacrifices or wait around for the deal to get closed. We like to buy homes that are in bad shape because they are usually the ones with the most opportunity to add value and then resell on the open market for a hefty profit. If this sounds like something you’d be interested in participating in then please fill out the form below or click on the live chat box to speak with one of our live agents who will be able to provide you with an instant quote in less than five minutes. All we really need is the property address along with the estimated cost of repairs and we can analyze the numbers and make you a reasonable offer which will allow you to liquidate the home instantly without having to deal with any agents, brokers, or other middlemen.